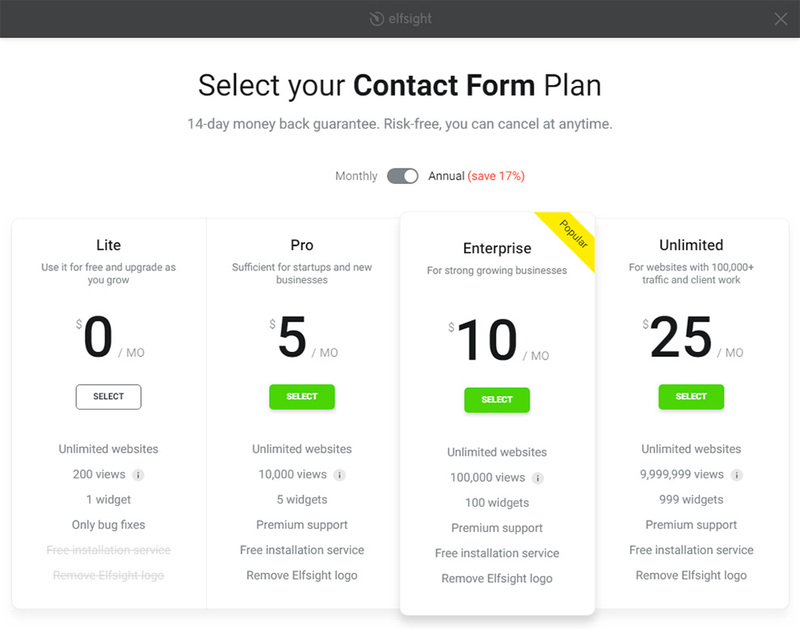 Elfsight Contact Form – is the easiest in setting and installation tool to create “contact us” or any other type of form to submit a message without skills in development. BONUS: Generate a customized contact from free! 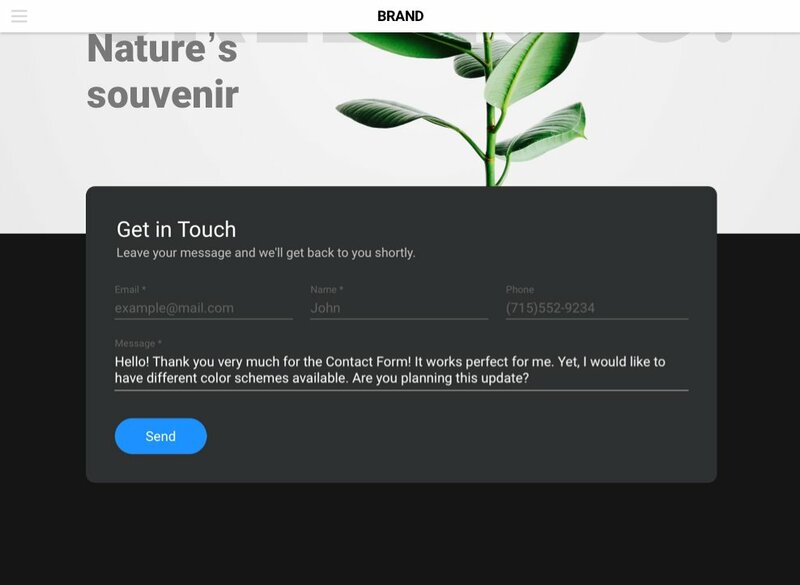 If you are looking for an easy and functional contact form to receive more responses from your visitors and increase performance of your website, then this widget is the ultimate option for you. Stay in touch with your clients 24/7, receiving feedback on preferred email and get more leads for your business! Installation of our widget is ultimately simple and intuitive; it will take only three minutes. Follow all steps listed below to install a widget. Follow the link (Live Editor) to create a plugin. 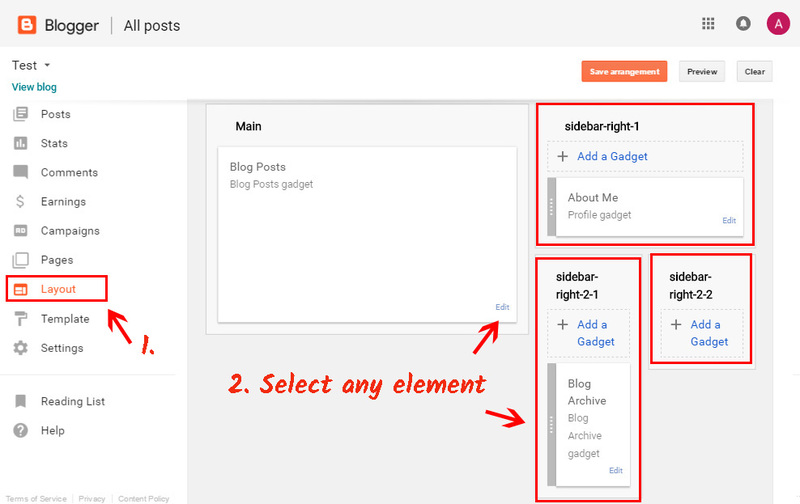 Select the layout, and display configuration to set up the plugin that will suit your site best. Or find out more on main page. After your plugin is developed, define your subscription plan. We have free and payable plans to suit any needs. The final action in installing our plugin is to copy and paste the plugin shortcode. Enter the panel and choose the page for placing the plugin. Put the page into HTML format. Paste plugin code and press «Update», to apply the changes. You have successfully installed the contact form. 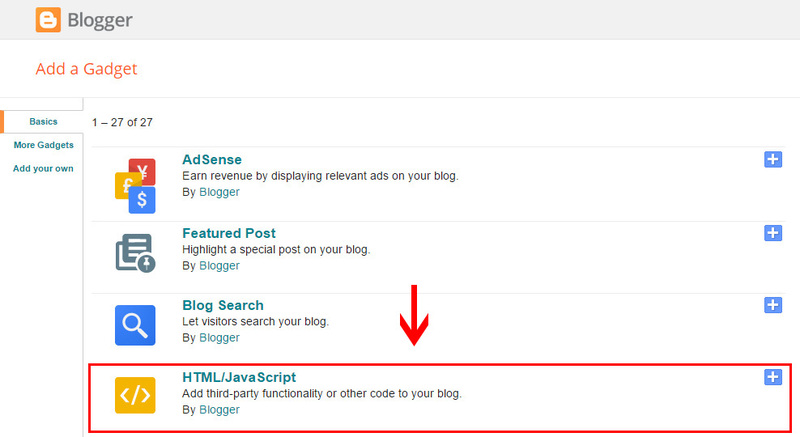 Enter Blogger and go to «Layout». Find the footer and press «Add a Gadget». 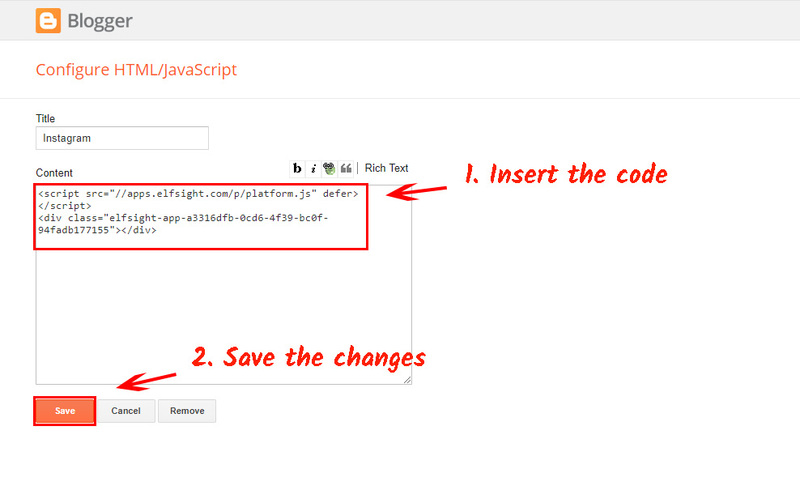 Paste the form code and save the changes by pressing «Save». Go to your website and check the results. After the product is installed, you can as well alter it the way you need. To do it, go to Elfsight apps website and enter Live Editor. You are free to correct texts, alter templates, or choose the most suitable display variant. The changes you’ve made in the Live Editor will be at once carried out on your site. 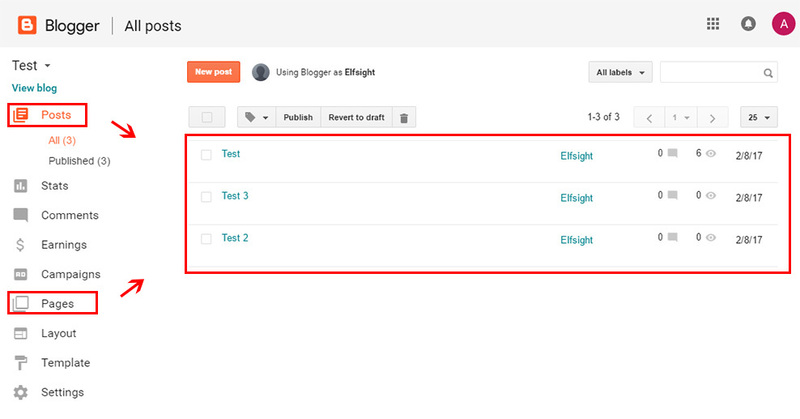 To see other powerful Blogger widgets created by Elfsight and install them, visit your account. 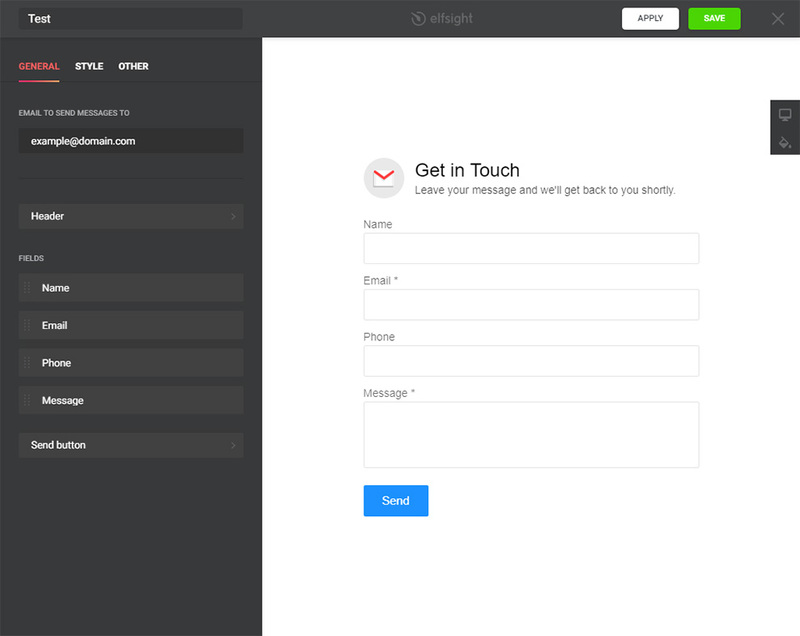 Generate a customized Contact Form free! Free editor for fast widget creation.